← Agenda 21: Saving the Planet? Who Starts Those Chain Emails? I’ve Got a Theory…. ACLU Sues to Remove Crosses From Military Cemeteries and to Ban Prayer from Military. I received this email from a number of friends and family near the end of 2009. I believe I had seen it before but I cannot be sure. My response was to point them to a number of websites that addressed the veracity of the content of the email. This is sort of like saying, “These people will say anything and believe anything to get their way.” This is clearly an Alinsky technique, so I find it ironic that the liberal-minded Snopes folks use it as evidence of that “group’s” failings. It’s also a real classy way to tell you that you are stupid if you believed it. As to the prayer part of the email you can find information at Factcheck.org where it states that “The ACLU did not sue and doesn’t want to end prayer from the military completely. Rather the ACLU supports the right of those in uniform to pray or not as they please.” (emphasis mine) Not “forcing” someone to participate in prayer was the issue of the case. The question in my mind is this: Does asking someone to stand by respectfully as others pray constitute “forcing” them to participate? It seems that it does in the minds of quite a few folks. Factcheck.org also shares the “false email’s claim that the Navy Chaplains can no longer mention Jesus’ name in prayer thanks to the retched [sic] ACLU and our new administration.” They point out, of course, that later versions of the email corrected the misspelling of “wretched” but still mangled facts in the case of Navy Chaplain Gordon J. Klingenschmitt, to which the message likely alludes. They fact that they needed to point out the misspelling says much about their position in their investigation. Once again, let’s show how “stupid” these folks are. They also give you some background on the Chaplain’s complaints to his superiors of pushing chaplains to offer generic, nonsectarian prayers and point out that he now solicits donations, news interviews, and speaking engagements. Is that supposed to be a comment on this man’s character? Don’t politicians solicit donations, news interviews and speaking engagements? Do these acts automatically make someone a person of suspect character? The article goes on to demonstrate that the court-martial was about his disobeying an order. The Chaplain’s side is presented at WND. There is no source I could find that presented both sides of the story in one document. I don’t think we should, or need to exaggerate the damage the ACLU does to our society to make our point. I think we need to be sure that what we are passing on is true as far as can be determined so that when we really do have something to be outraged about folks take us seriously. Like I told another friend of mine, sometimes I think our opposition starts this stuff just to confuse and distract us from what we should really be worried about; the destruction of our Republic! Please note that I spelled wretched correctly. Does that mean I’m not stupid 🙂 I sent this response in December of 2009. In January of 2010 I started a campaign to help put an end to the energy that is in many ways “wasted” on these types of emails. I then started a blog in June of 2010 to continue this fight as well as to find out exactly what “fundamental transformation of the country” means. At this point I will invoke “Princess Bride” and state unequivocally that I do NOT think it means what the majority of those who voted for Barrack Obama THINK it means. This is where my theory about just WHO starts those emails comes in. For years a “false” email goes around. Everyone who sees it believes it and passes it on. Our opposition then points out how “stupid” we are for “believing anything.” THEN when it really starts to happen we dismiss it as false based on our previous experience. It’s an ingenious use of behavior control. So, that’s why I fight so hard to get folks to stop forwarding those chain emails unless they do a google search and verify. I’ve started suspecting ANYTHING that does not have a link to a reliable source. If the goal of the sea turtle email is to battle the agenda of the Global Warming crowd perhaps time would be better spent reading both sides of the argument. There are sources that dispute much of what our children’s heads are being filled with in school. But that takes time. I know we are all busy living our lives and each of us has our own challenges. That fact, however, is exactly why we want the one piece of evidence that will prove what we all know is happening. It’s easier to pass on an email that we hope will open people’s eyes. The problem is that these emails may contain some “truth” but they are many times factually inaccurate. And that, my friends, is how we lose track of what is really TRUE. As an update to the email about the “retched” ACLU I’d like you to consider the story about the Houston Cemetery banning the word “God” from military funerals. That is something that is really happening. Houstonians took a stand. That is something that is also really happening. 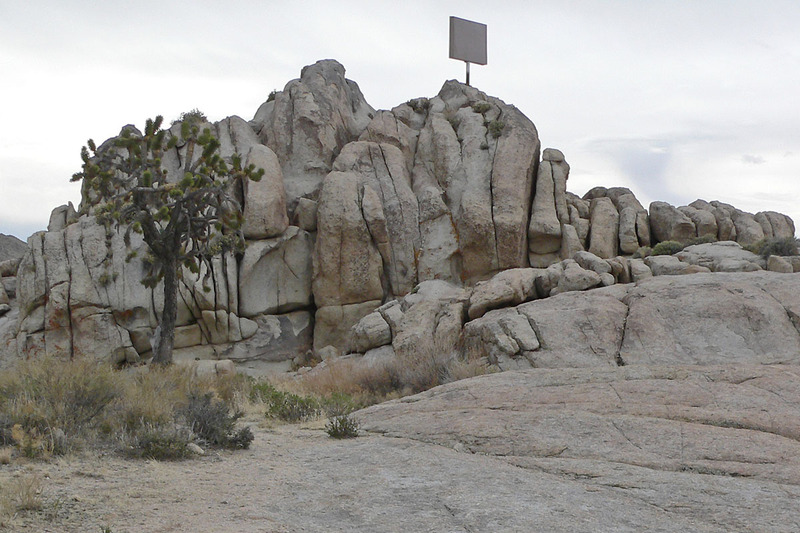 May 2010 thieves cut the metal bolts that attached the 7-foot metal cross to a rock in the Mojave National Preserve and carried it away. One news report stated that: “It remains unclear whether the motive is connected to the controversy. The memorial cross has, to date, not been restored. This entry was posted in Freedom of Religion, Global Warming Theories, Those Chain Emails! and tagged ACLU sues to ban prayer in military, ACLU sues to remove crosses, Banning of religious expression, Chain emails, Mojave Preserve Cross, Navy Chaplain Klingenschmidtt, Sea Turtle Extinction. Bookmark the permalink. 16 Responses to Who Starts Those Chain Emails? I’ve Got a Theory…. “Our opposition then points out how ‘stupid’ we are for ‘believing anything’” … didst thou then point out the fact that by their own logic they were stupid for believing thee to be stupid ? When truth does not suit the purpose….lies and distortions are thrown into play. When the e-mail supports a person’s personal beliefs and feeling, they naturally assume it is the truth. If it’s not, they don’t want to know. Yes – I can’t tell you how frustrating it is seeing the same things on just about every site – republican chain emails with false information and often religious exploitation as well – and the people sounding off about it always turning out to be from the left of the aisle. Other sites that reject the hoaxes from the left and anti-Christian sentiment, only to embrace chain letters, ARGH! It is great to see someone else who is not leftist, cautioning against conservatives and Christians falling for chain letters. What the net also needs is another site like TruthMiners.org – they don’t seem to be around now – a hoax-debunking site run by Christians and the non-left. I have my own site called Christians Breaking Chain Forwards and it’s a show of primarily one Christian, yet, who really gets sick of chain letter manipulations and is determined to speak out against them. I was so impressed with your site, it does not appear to use the same typical far-right scaredy-cat lingo seen on just about every other site “Obamacare” to name one, and is not left-leaning, and doesn’t appear to be far-right either, but moderate and sensible. So I put a link to you on my own site. Thanks for helping restore honor and common sense to the net. Thanks! Yes. there is such a difference with your site. Someone I respect a great deal, once pointed me to a site, the article itself was good, but looking around the rest of the site, I found “Obamacare” this and that, and read no further. I see the same talking point buzzwords on sites that give the liberals away too, and have often ditched what appeared on the surface to be a good article on those sites because of their own agendas. You are right, there are scary things out there, coming from both sides of the aisle, and IMO, the far-right are not even near concentrating on the things they should. Birthers? Puh-leeeeeeze! And I really think church and state shoud be separate, in which case, it’s time to recognize the green/animal welfare/rights and food-cop left agendas for what they are, a religion, not a science. There are things that IMO need to be taken out of the political arena altogether for both parties to get ut of the quagmire. Thanks, and I’ll definitely be coming back. God bless. Oh, BTW, one of my Youtubes is usicalMissCapri if you want to hear some of my piano playing. In regard to your comment: “…time to recognize….for what they are, a religion, not a science” AMEN to that! Love piano music. Will try to check it out! Thanks! 🙂 And as for chain letters, I have theories about who, how and why they start and keep circulating. I would not be at all surprised if at least some of the particularly crazy far-right chain emails were actually started by people on the opposite side, as a means of duping their opposition into forwarding – so they can get a huge laugh at the expense of not just the far-right extremists, but also as a means of trying to discredit everyone who is non-left. And I see far too many conservatives falling right into this and virtually none in the non-left speaking up and out about it and raising holy heck over the untruths – and by golly, they should. So, once again, I aplaud your post and your effort here. Also, before I was too aware of political chain letters, I learned about charity hoax chain letters – and the false negative Neiman Marcus recipe chain hoax. That put me on a serious mission to smash any and all chain forwards to cross my screen. And don’t get me started on those that drag Jesus/God’s name in to guilt-trip/scare religious people into passing them on. ARGH! And those that rail against political correctness – irksome. I detest real political correctness, so chain letters that rant on about it make me look bad, which is – not cool. Urgh! I’ve got another Youtube – SassyMissCapri – where I put my audible speaking out stuff every so often, and last Christmas I got a chain letter that said we needed to save one more American tridition from being lost in the sea of political correctness. It was hard not to scream out loud when that one hit my inbox last year. Well, I let my friend who is also Christian and non-left, and who I got into chain-smashing, know about your site and she’s very impressed as well. Pingback: Watcher’s Council Nominations – Debt Ceiling Black Hole Edition - July 13, 2011 | Virginia Right! I wish to point out it is well documented that this tactic of using emails filled with distortions, lies and character assassinations was pioneered by Karl Rove in helping G W Bush defeat Ann Richards for the Texas governorship and John McCain for the Presidential nomination. Afterwards, they appear to have become an integral part of the propaganda machine used by the wealthy/corporate oligarchy to help maintain its control of our political process. If you do not agree there is such a propaganda machine, listen across the spectrum of all the radio talk shows on any given day. It is obvious they all are using the same talking points and marching to the same drumbeat to get out the oligarchy’s “message of the day”. That old canard about the “liberal media” would be funny if it weren’t a sorry, pathetic reflection of our democracy’s decline. Virtually every radio/tv outlet and local newspaper these days are conservative mouthpieces controlled by large corporations and billionaires. Even the supposedly liberal tv networks have been intimidated by sponsorship concerns to where they have waterrd down their political news coverage to shallow sound bites which always give “fair” inclusion to the “message of the day”. It seems any true journalistic efforts to point out discrepancies, question distortions and fallacies, and provide independent interpretations now are marginalized as showing a liberal bias. I agree that these emails are meant to distract people from the real issues, though of course I don’t think you are correct as to what those issues are. These emails aren’t going to make converts among critical thinkers, they are intended to keep a certain segment of the converted within the conservative herd, voting against their own best interests out of a visceral sense that their “way of life” and “values” are under some sort of insidious “un-American” attack. Like you, I am bombarded by those poion-pen emails from my conservative, usually elderly friends. They especially peak in the months before elections. Like you, I make a point to refute them, citing links to TruthOrFiction, Snopes, and other sources, even though I know it really won’t do any good. It is sad that these people don’t make an effort to ascertain the facts beofre pssing on their calumnies via emails and websites, and it is even sadder when they again pass on the very same refuted emails several months later. But that is exactly the type of person those emails are targetting to keep in the fold. outright lies and visceral manipulations quite routinely to promote their agenda. Come into the light: it is wealthy oligarchs like the Kochs and globalist CEOs with their lobbyists who have corrupted and stolen our government so that it no longer serves the common good. The only solution is a grass roots effort to drive out all the bought-and-paid-for incumbents and institute complete campaign financing reform. Term limits may be a necessary part of the solution. The people in the Tea Party sense this, but alas have allowed their movement to be hijacked by operatives and lobbyists and redirected towards the oligarchs’ agenda. “It is well documented that this tactic of using emails…” Should you have links to that documentation I’d be interested in seeing them. The world view I hold is what I believe is under attack. That does indeed partially translate to “way of life” and “values.” The world view one holds indeed effects everything we do; every decision we make. The outlandish rationalization as to the source of these emails is not a rationalization it’s a theory. Placed out in the blogoshpere to find out what others think. Using distortions, outright lies, and visceral manipulations to promote one’s agenda does indeed happen. Again, it’s used most often by those who hold a world view that is quite incompatible with mine. That includes ANYONE who has a Progressive world view; Republicans and Democrats alike. Come into my light: it is wealthy oligarchs and globalists that have corrupted our government so it no longer serves the common good, but I find it telling that you “name” the Kochs and fail to identify some of the other key players. Finally, a “grass roots” effort to change this is the answer, however, our Constitutional Republic is being dismantled so that the safeguards are disappearing at a breathtaking rate. The “elite” Progressives believe they need to make all of the decisions for “We the People.” The Constitution and its safeguards are getting in the way so they are being eliminated in many different ways. Therefore, we need to educate ourselves and ascertain facts and, bottom line, be a moral people who will search for what is true in a world that makes that difficult in a variety of ways.